Soar with the birds of South America. 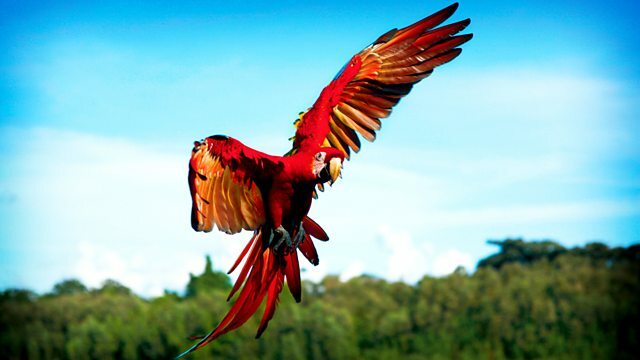 Get a bird’s-eye view as condors and scarlet macaws take us to the Andes and the Amazon. Giant petrels in Patagonia shadow killer whales. Hummingbirds feed at Iguazu Falls, vultures ride the thermals over Rio de Janeiro, and black vultures target turtle eggs in Costa Rica. It is a journey that includes Machu Picchu, the Nasca Lines and the cities of Rio de Janeiro and Santiago. Run time: 60 mins. “Earthflight” invites us to see the world from a bird’s perspective with state-of-the-art technology and sophisticated camera techniques that take viewers on a breathtaking aerial adventure over six continents in the six part series. It took series producer John Downer and his team four years to film more than 100 bird species in 40 different countries, capturing amazing viewpoints that have never been seen before. Free. All are welcome. Movie refreshments provided.